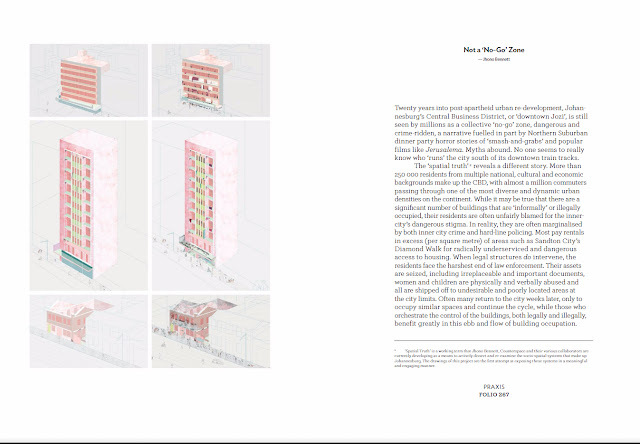 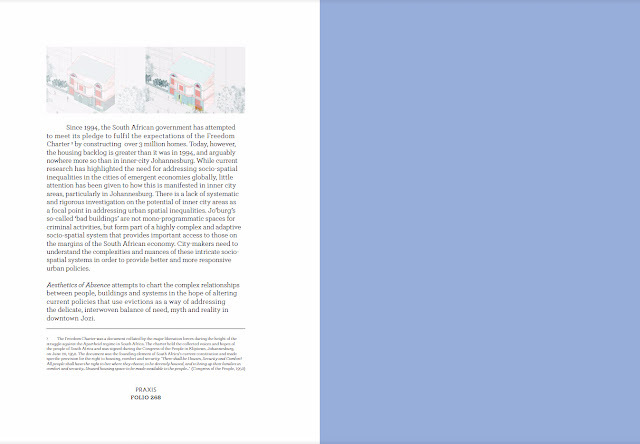 FOLIO is a critical, creative and contemporary Journal of African Architetcure and a product of GSA Imprints, an initiative launched by the Graduate School of Architecture (GSA) at the University of Johanesburg. Volume 1: PUPAE was launched in 2017 and comprises a collection of critical writing peices, photo essays and design research outputs. Myself and Sumayya Valley of Counterspace put together a short writing peice that was supplemented by a series of drawings created by Sumayya from a previous project we had completed in inner-city Johannesburg.